Portrait Workshop - website:www.portraitworkshop.com blog:www.caricature.com.sg: One'derful birthday! 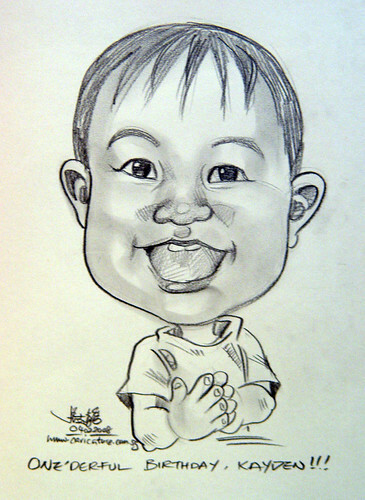 Taken the snapshot of this caricature in my shop. Mixture of cold and warm lighting. Looks quite good on this pencil caricature. Not on the original artwork, of course.